There is an easy connection between two of the cocktails in Vintage Spirits and Forgotten Cocktails. The Aviation and the Blue Moon share such incredible similarities that it only seems natural to do tasting notes on these two together. Not only are the two recipes very similar, but they both have some interesting variations. We’ve tried to cover these in our notes, tastings, and recipes. One of my first classic cocktail experiences was the Aviation. Well-loved among cocktail enthusiasts, it is light, refreshing and a perfect balance of three easy ingredients: gin, lemon juice, and Maraschino liqueur. A gin girl at heart, I have enjoyed playing with a variety of gins in the leading role just to taste the different nuances. For instances using a bolder, stronger juniper enhanced Hendricks in contrast to a smooth, velvety Leopold changes the complexity of this simple cocktail. For all of its popularity, the actual history of the Aviation’s origin is cloudy. 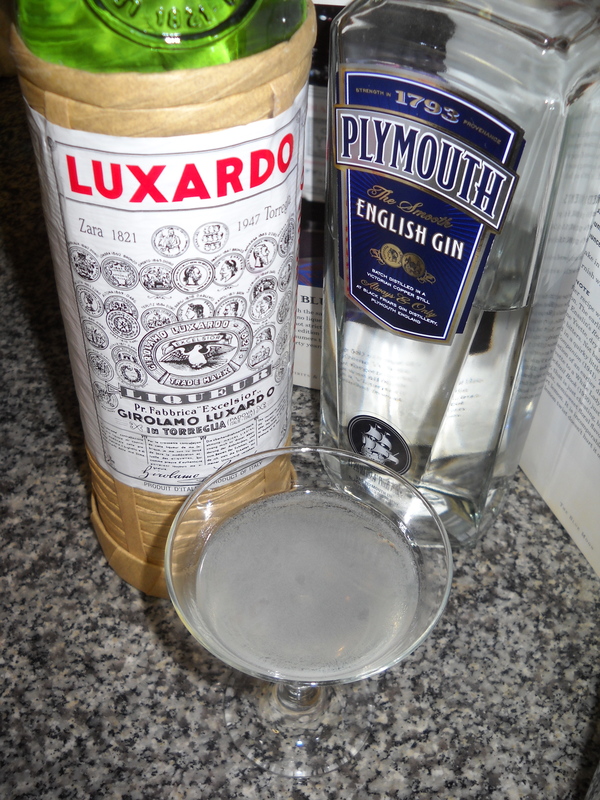 According to David Wondrich’s Imbibe!, The recipe was first printed in 1916 in Recipes for Mixed Drinks by Hugo Ensslin. The original recipe included a fourth ingredient: Crème de Violette. Not long after the recipe became popular, however, this ingredient became impossible to find and was dropped. Cocktail manuals of the time vary in their listing of the Aviation recipe. In Craddock’s Savoy Cocktail Book you will find Ensslin’s recipe with the exclusion of Crème de Violette. However, Patrick Gavin Duffy in early editions of The Official Mixer’s Manual publishes the Ensslin recipe in whole. 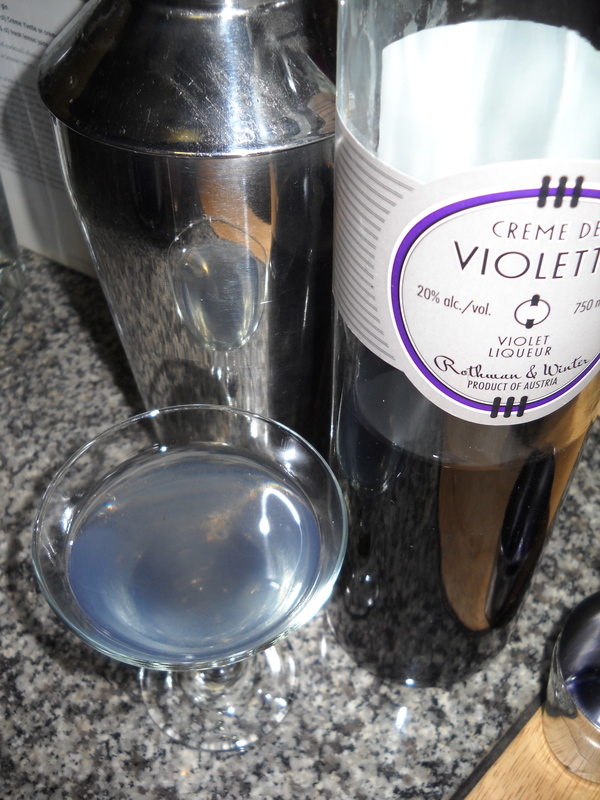 Once Crème Yvette disappeared, Crème de Violette became a substitution. 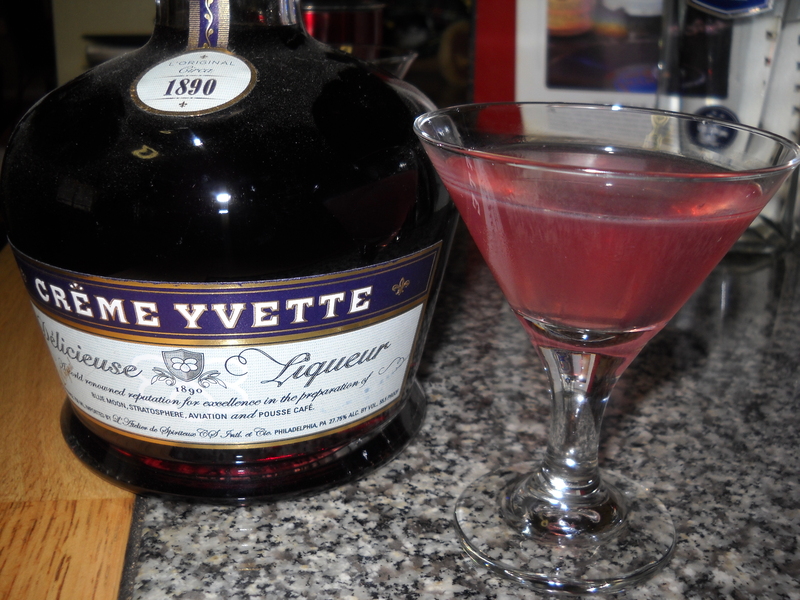 While both of these liqueurs are violet flavored, Crème Yvette consists of more spices and vanilla with the violets. It also produces a pinker version of the Blue Moon. Both are remarkable in taste, but I prefer the floral elements of the Crème de Violette version. Today, we owe a great deal of gratitude to Eric Seed, who several years ago founded Haus Alpenz, a company importing hard to find liquors. He first imported such liqueurs as the pine-flavored Zirbenz Stone Pine Liqueur and the Austrian Nux Alpina walnut liqueur. Not satisfied with simply importing the rare and unusual, he then began commissioning distillers to re-create classic liqueurs using updated processes and improved ingredients. These include Pimento Dram (a Jamaican allspice liqueur), Batavia Arrack (used in classic punch recipes), Hayman’s Old Tom Gin, Dolin Vermouth de Chambery, Rabarbaro Zucca (rhubarb amaro), and Velvet Falernum. What is important for the Aviation is Seed’s provision of the first true Creme de Violette to be available in years. Produced in Austria, the Rothman & Winter Crème de Violette is created from a careful maceration of Queen Charlotte and March Violets in “Weinbrand” (distilled from grapes), with cane sugar added for sweetness. This liqueur holds the delicate fragrance of the violets, has a sweet floral taste, and is strikingly purple in the bottle. 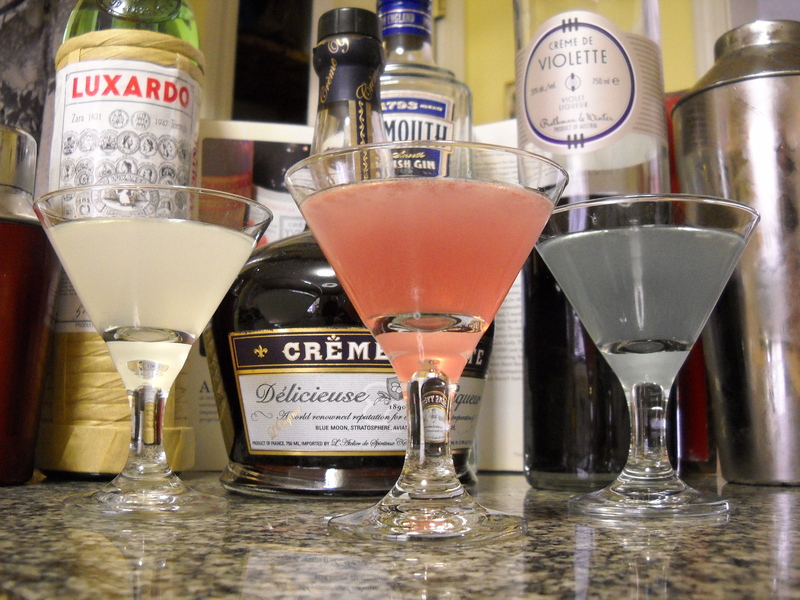 It took nearly half a century of waiting, but in 2009 cocktail enthusiasts were again able to enjoy Crème Yvette. Made from parma violet petals along with vanilla and other spices, Crème Yvette has a true understated sweetness that when mixed in cocktails provides a beautiful balance. It has only been within the past few months that I’ve found Crème Yvette on the shelf of my favorite store, but it is also available by order at www.cremeyvette.com. I encourage you to make up a round of both of these classics, and try these variations. Really when someone doesn’t be aware of afterward its up to other people that they will assist, so here it happens. Awesome! Its really amazing paragraph, I have got much clear idea regarding from this post. Thanks on your marvelous posting! I certainly enjoyed reading it, you will be a great author. I will remember to bookmark your blog and will often come back later on.